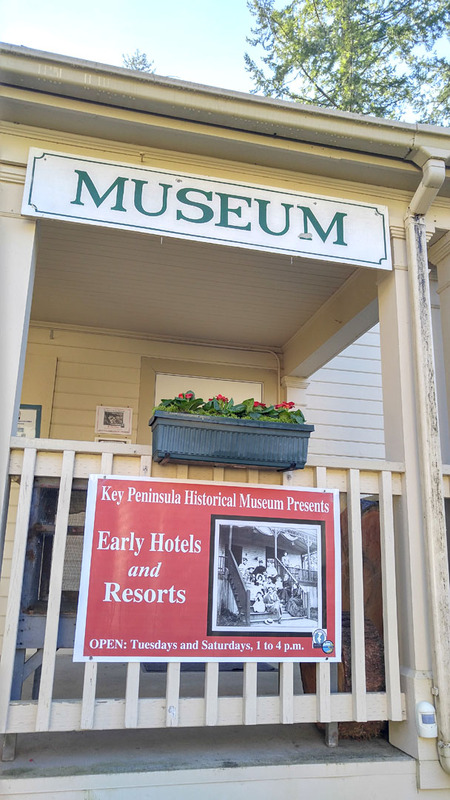 On Tuesday, February 2nd, 2016, the Key Peninsula Historical Society re-opened for the year with a brand new exhibit on display: Early Hotels and Resorts. 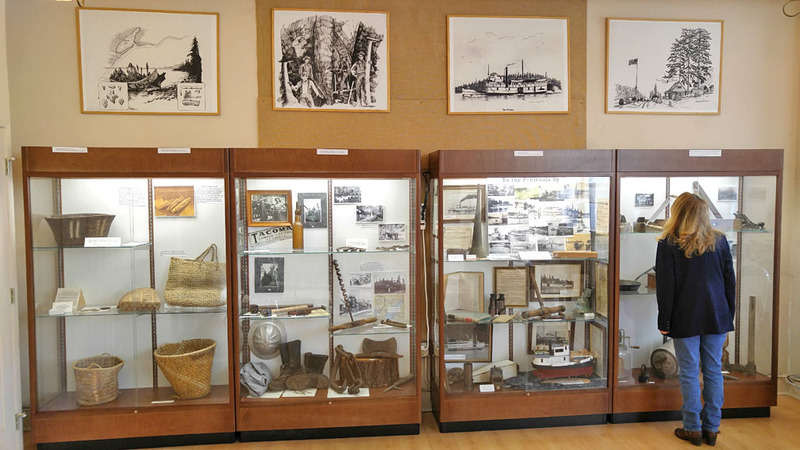 Volunteers spent weeks putting the exhibit together, and many months before that was spent gathering information and artifacts. 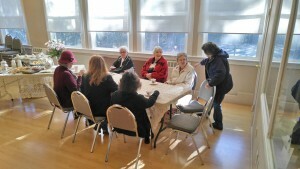 Tuesday’s re-opening was the culmination of hundreds of hours of hard work by our dedicated volunteers. 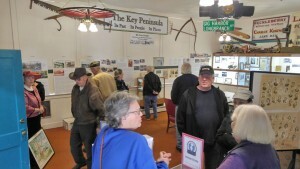 The exhibit was immensely popular on its first day and drew quite a crowd. 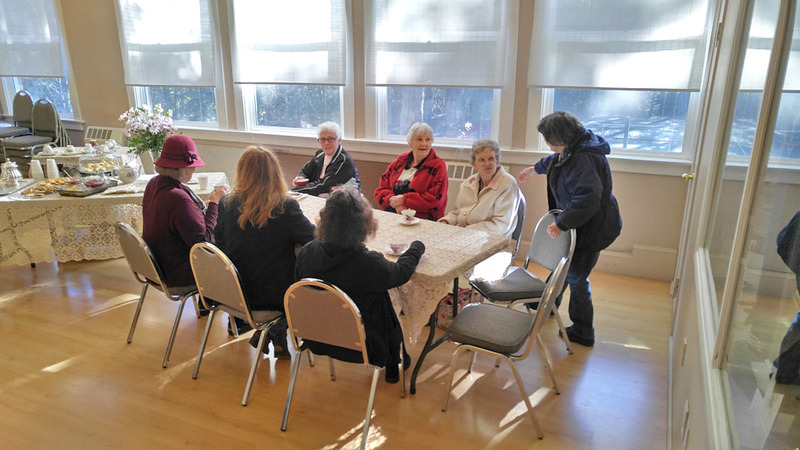 Some dressed in period clothing and shared stories over coffee and tea in the new logging exhibit, just opened by KPHS in the VFW room next door in the Civic Center. 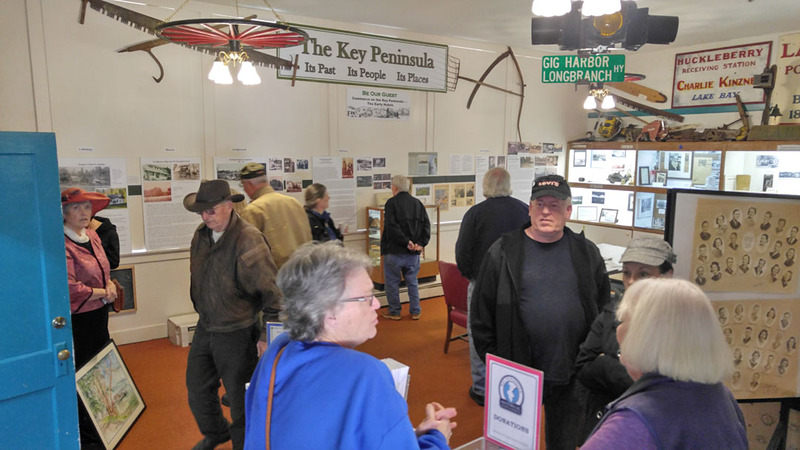 Others spent time perusing the dozens of placards and photos in the museum proper, soaking up our peninsula’s hotelier past. 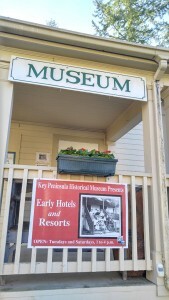 Come on down to the museum on Tuesdays and Saturdays and check out the “Early Hotels and Resorts” exhibit for yourself! 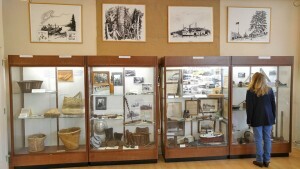 Admission is free; the exhibit will be on display for the next several months. Can’t make it to the museum? We have a summary exhibit of Early Hotels and Resorts online.